If you're looking for a quirky crossover that's designed with enormous attention to detail, the 2019 Subaru Forester is a great choice. The interior has an upscale feel and plenty of storage; a redesigned undercarriage gives it a smooth, silent ride, and it can haul just about anything. Read further to learn more about the 2019 Forester. The Forester has been redesigned for 2019, although it closely resembles its predecessor in appearance and dimensions. 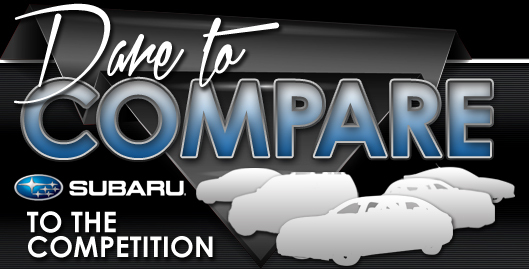 It now comes with the same platform found in the Crosstrek, Impreza sedan, and Ascent. 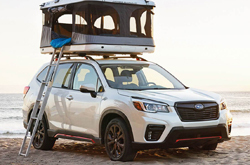 The all-new architecture gives the 2019 Subaru Forester a more composed, smoother ride than that of the previous model, as well as precise, lively handling. The Sport edition's orange accents and 18" wheels give it a sporty look, and the sport drive mode gives it a bit of street credibility. 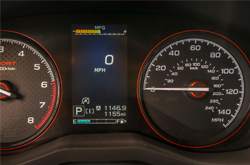 The base model is relatively well-equipped, coming with features such as auto climate controls, a 6.5" touchscreen infotainment system with smartphone integration through Android Auto and Apple CarPlay, adaptive cruise control and lane control, auto emergency braking, and more. The Premium is loaded with details that make it more comfortable: a roof rack, alloy wheels, a ten-way driver's seat, rear seat vents, tinted windows, lighted vanity mirrors, app-based remote engine start, and much more. An option package including blind spot monitoring, keyless ignition, and heated seats is available, and a power liftgate is an option as well. The Sport edition comes with 18" wheels, auto high beam headlights, keyless ignition, an extra drive mode, and some other features. The Limited comes with leather upholstery, LED headlights, dual climate controls, keyless ignition, and a larger infotainment touchscreen. Navigation, a heated wheel, and upgraded speakers are available. At the top of the model lineup is the Touring. It comes with a power adjustable passenger seat, a memory driver seat, heated rear seating, Harman Kardon speakers, and a few other features. The 2019 Forester separates you from the outside world, even when you're out in the wilderness. This crossover has a composed ride, and its 2.5L flat four, with its 182 hp provides enough acceleration for most driving tasks. Even with standard AWD, the Forester is somewhat light, which gives it quite a good power/weight ratio. The CVT is well-behaved, and it maximizes the available power. 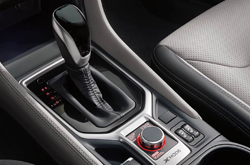 It's tuned to provide brisk acceleration from a standing start, and while engine noise could be lower, the transmission does its best to keep it under control. While the 2019 Subaru Forester hasn't yet been crash tested, it's expected to be similar to the previous model. It has all the active safety features you'd expect from a Subaru, including active lane control, adaptive cruise control, and auto emergency braking. Reverse auto braking and blind spot monitoring are available on the Sport and the Premium, and they are standard on the Touring and Limited trim levels. LED headlamps are standard, but only the Touring and Limited editions have steering-responsive headlights. The Touring edition has a facial recognition feature that monitors drivers for signs of distracted or drowsy driving. If this system detects discrepancies between the Forester's movement and the driver's actions, an alert will sound. While it may give some people privacy concerns, it's a functional safety feature. There's a lot to like about the 2019 Subaru Forester, and it has enough features to satisfy parents and weekend warriors alike. Learn more about the Forester by giving us a call, or stop by the showroom to take a test drive.